27 | May | 2014 | ReconfigurED. 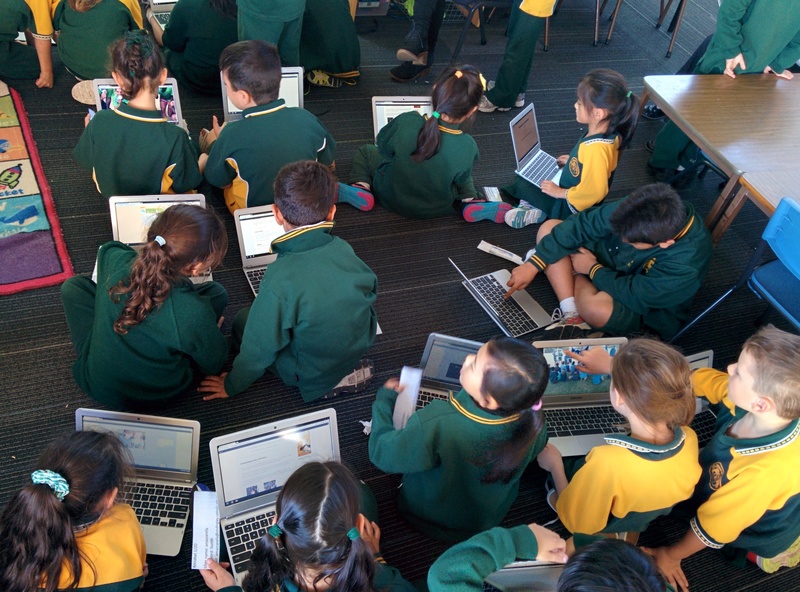 This term we have successfully set up 55 Chromebooks at our school for students in Years 1 – 4. I used Corey Aylen‘s enrollment guide. For those who are in Victorian Catholic schools, his guide will provide all of the relevant parameters to mitigate the often troublesome zscaler settings. I have heard some negativity over Chromebooks particularly from technical staff who are not too familiar with the potential of Google Apps for Education. For me, the Chromebook is too hard too ignore for education. Some criticize that it is limited because essentially it is a laptop with just a web browser. This is indeed true, but this is one of the best things about Chromebooks. It means it doesn’t require extensive hardware to run, which brings the cost down. Because the machine doesn’t need a fully blown operating system, it means it boots up quickly and operates with speed. In addition, most of our activity on the web is through a web browser anyway, and as technology develops, more and more is being achieved through the cloud and through the web browser. Having said this, the Chromebook does not do everything. But it is an ideal product, for most students, for most activities, without the hefty price-tag of a machine that offers the whole kit and caboodle. 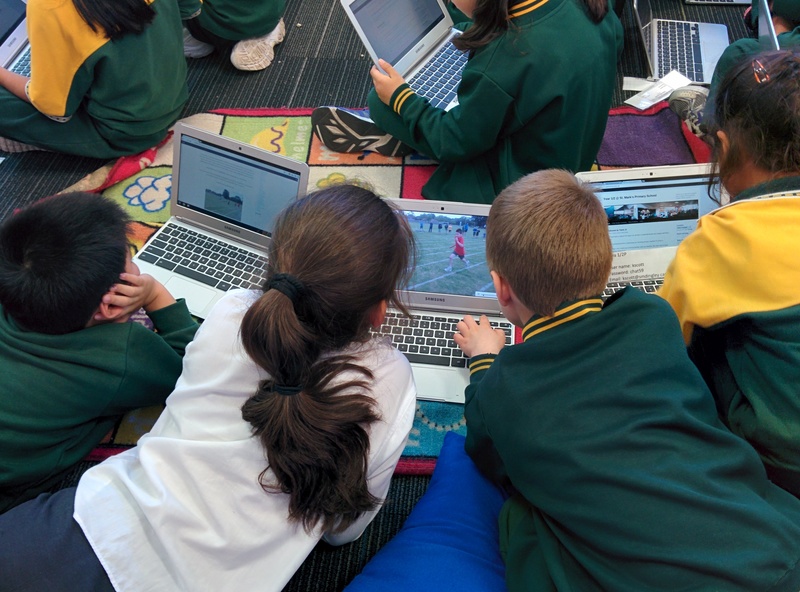 Particularly for with schools who are already using Google Apps for Education, it is a winner. 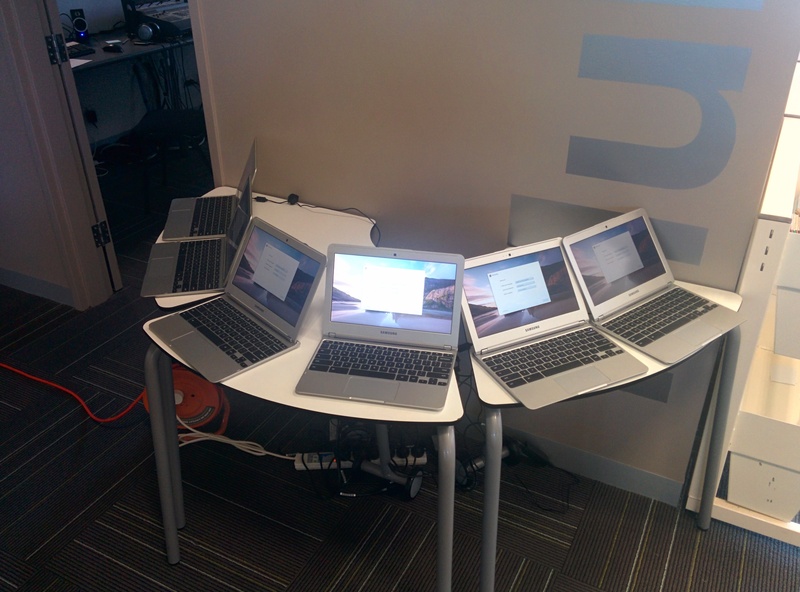 Setting up the Chromebooks was an absolute breeze (we went for this Samsung model). 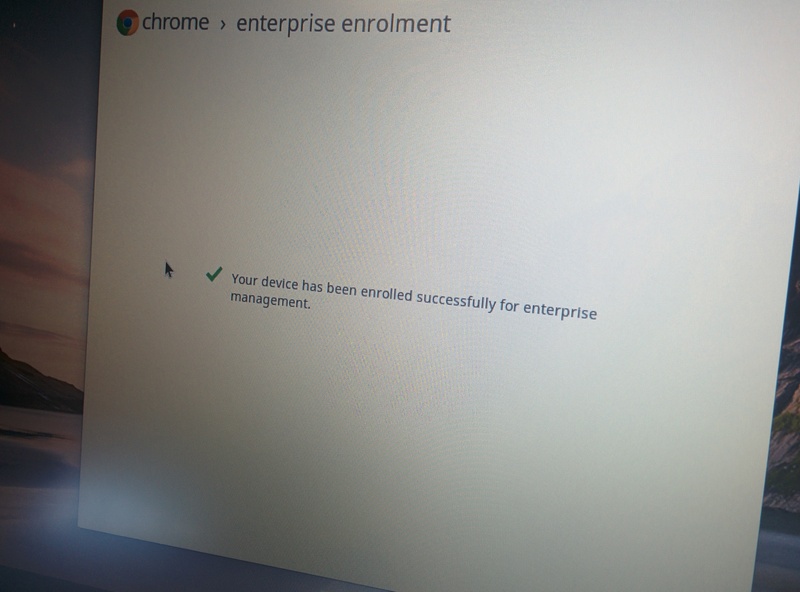 Once the network settings were provided to each Chromebook, the process was initiated and within a few clicks they were done. In fact, the most time consuming part of the process was unboxing the units! Having some students around to help this process was handy, not to mention enjoyable for them. I found that I had to plug in the chargers briefly to “wake up” each unit out of the box to get them on, but they had sufficient charge to complete the registration process. They were then fully charged and setup in trolleys before the first student use. We went for the PC locks Carrier 40 trolley. At the moment we have pushed out a few Apps from the Chrome Web Store to the students; Design Something, Build With Chrome, Mind Meister, Pixlr, and Typing Club. The pre-installed extensions we have selected are Speak It!, Google Dictionary, and Read & Write. Students are not able to install other apps or extensions from the Chrome Web Store. Teachers have already reported the efficiency improvements in the time taken to get students connected to the web, saving precious moments in the classroom. This is because the Chromebooks boot up in under 10 seconds, and the Chrome browser is ready at the user’s disposal once logged in. This has been a significant reduction in log on times compared to Windows 8 laptops / desktops, not necessarily at bootup, but more so in loading network policies and connecting to servers. 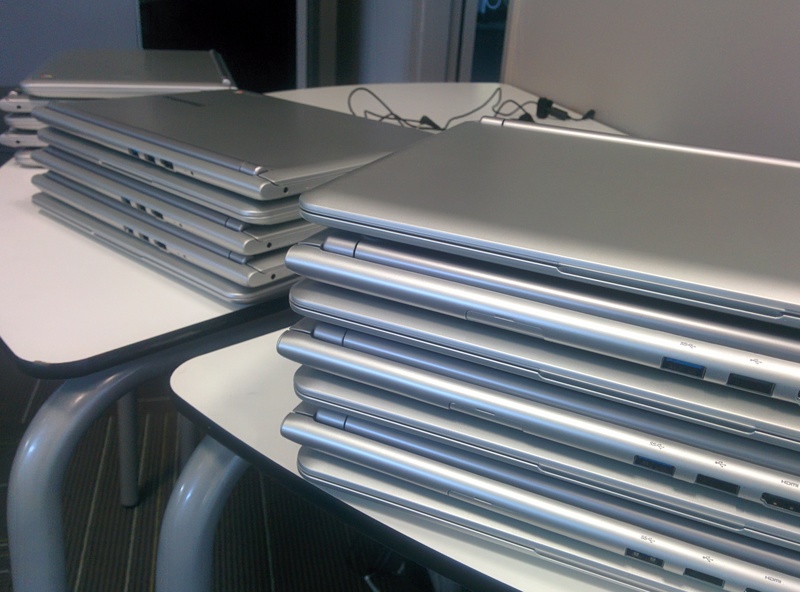 To make the process even faster, we have numbered each Chromebook and assigned students to a particular machine. It does take a few moments to setup a user account for the first time and download all the pre-installed apps and extensions (this is why we have kept the pre-installed suite to a minimum). For each subsequent time users log on to a machine, they wont go through this process unless there are new Apps / Extensions to install. Once students have logged on to the Chromebook, they are automatically signed into to their Google accounts, have their pre-installed apps, extensions and bookmarks at their disposal. Most importantly, they are connected to the web in moments with a lightweight, and fast device with a hard keyboard.